The traditional recipe crema Catalana is a dessert from the region Catalonia, also called: Crema de Sant Joseph. Every march the 19th this dish is made on the Sint Józef. This dish contains the following standard ingredients: milk, egg yolks, cream, lemon rind, cinnamon stick, sugar and a binder (mostly maïzena). No, it isn’t very healthy but it’s delicious, trust us! 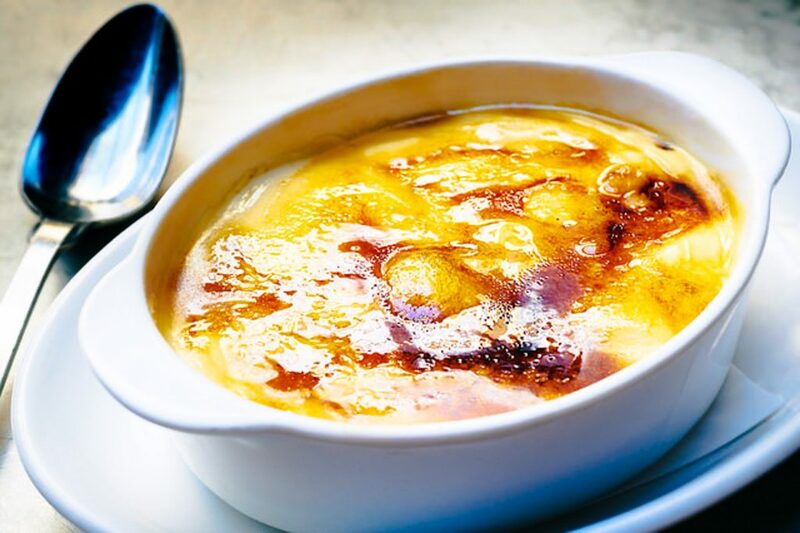 A delicious traditional recipe crema Catalana. The recipe isn’t expensive, but it takes some patience because the dessert need to be put in the fridge for 2 hours. Listen to some nice music and let’s start cooking! 1) Beat the egg yolks with the sugar and the maizena in a bowl till it gets light and soft. 2) Cut the vanilla stick lengthwise and scrape the seeds out. 3) Pour the milk in a saucepan and add the lemon rind, the cinnamon and the vanilla seeds to the milk. Let the milk cook and let it rest for 8 minutes on a soft fire. 4) Remove the cinnamon stick and pour the milk with the egg yolks. 5) Keep stirring constantly, otherwise you will get whole egg pieces. 6) When the mass has about custard thickness pour it into the trays. 7) Put the trays in the fridge and let it rest for two hours. 8) Let the brown sugar caramelize in a preheated oven at 200 degrees Celsius. 9) Put the brown sugar on the crema. 10) Serve it to your family or friends! Enjoy!